Wow! It seems like we’ve had a busy few weeks since our last blog post in February. One of the main events in our academic calendar is, The Entrepreneurial Quest! the finances of their idea. The expert judges provided feedback there and then enabling students to develop their ideas for the future. 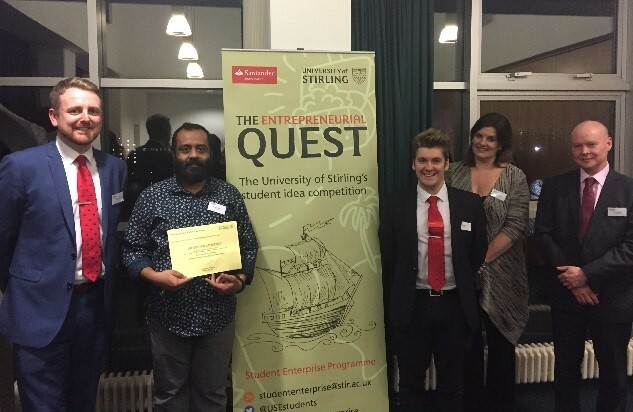 The Quest competition is unique as it provides an encouraging atmosphere in which participants with ideas at various stages deliver pitches one-on-one with each judge. 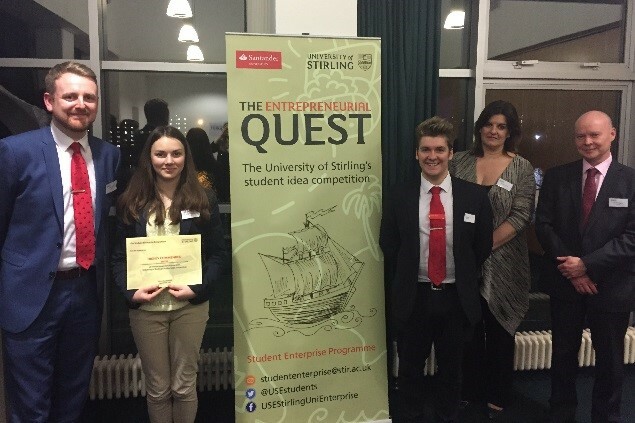 This year’s Quest judges included Director of Research and Enterprise John Rogers, Deputy Director of Research and Enterprise Sara McDermid, and colleagues Stephen Jenkins and Douglas Blyth from Santander UK’s University of Stirling branch. Have you entered to be selected for one of our monthly ‘Lunch with a Leader’ initiatives this year? If not, you are in luck as there are still three lunches with inspiring leaders left! 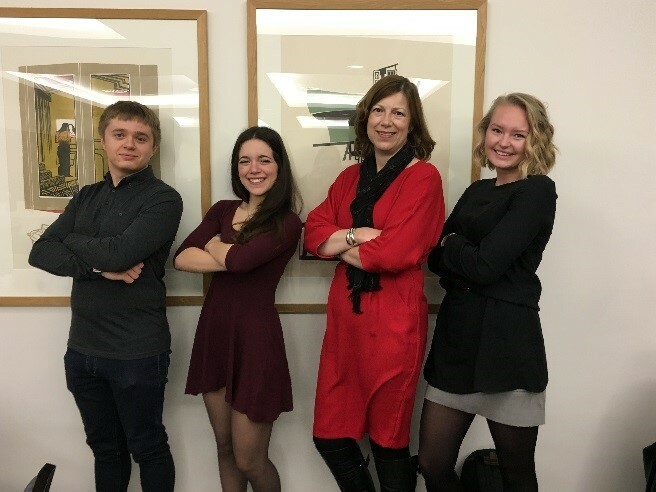 February’s student winners met with entrepreneur Sally-Anne Hunter, founder of Commando Spirit and winner of Sporting Chance Initiative’s Sports Business of The Year Award 2016. Sally-Anne Hunter, Founder of Commando Spirit, takes a marine stance with student winners. We are approaching our final two sessions for this academic year, if you can believe it! Next up we have Let’s Talk Social Media for Business on 5th April with the Research and Enterprise Office’s very own Dr Fiona Millar. Fiona will be leading a fun and interactive session looking at best practice for communicating via social media as an idea/start-up. Finally, on May 30th we will be hosting a lively discussion panel Let’s Talk People where we will hear from entrepreneurs and leaders discuss the importance of building a strong team and developing the right people strategy.